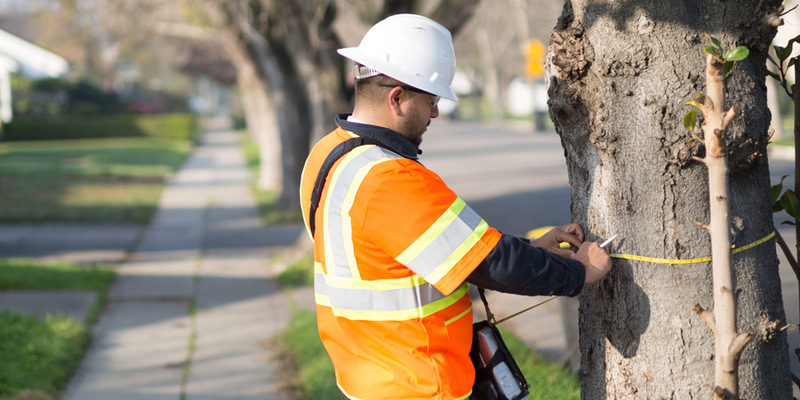 If you’ve noticed an ACRT Pacific employee near you, we’re working to follow best practices regarding utility safety and reliable service for everyone in your neighborhood. While you may not recognize our company name, take comfort in knowing that we’re part of a team that works with utility and tree care companies. We understand that there is always concern when someone is on your property, and our well-trained team is doing their best to assess threats that vegetation poses to power lines. To do this, we must balance our priority of safety and reliable service from your provider with desires of how your vegetation should be maintained. It’s extremely important to maintain trees and other vegetation along lines that deliver power. Trees and other vegetation that are too close to lines can interfere with utility service, especially when inclement weather hits. For this reason, our well-trained team works with your utility company on proactive vegetation management that can mean altering the growth of trees and shrubs on your property, including through tree pruning or removal. These decisions are made with the safety of everyone involved, and we’ll do our best to explain why action must be taken. Have questions about what we’re doing?